I think the hardest thing in being beautiful as well as intelligent is finding that balance. That balance between being humble and self-respecting. I spent the weekend with my cousin and countless times when we were walking in the mall, watching television and “instagramming” we found ourselves admiring other women (always give credit where it’s due). After mentioning how beautiful they were or how well they were dressed; you know my next statement was ” I hope she’s pursuing greatness with all that beauty”. 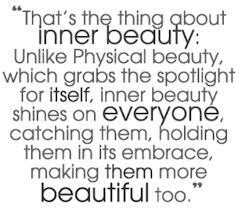 My cousin on the other hand tirelessly said she hoped they were just as beautiful on the inside. I brushed this off about four times ( yes we check women out that much! Yess in THAT 😉 way!!) but when she mentioned it again, I elected to find out exactly what she means. She went on to tell me how it is such a turn off to see a beautiful girl with a disgusting attitude, so then I asked what a disgusting attitude was. Is it a woman who does not give men the time of day? Or was it the woman who had worked her way to an executive position in a company and was now hated by her subordinates because of her assertion which was now being mistaken for bitchiness ( men think this word scares us hahahaha) ? I told her that before she answered she should think about whether or not her answer was sexist and if it was, I was not interested in hearing her justify herself. So what I mean by what I had said was that I’m tired of society always expecting women to be a wound that never heals. Irrespective of the challenges in life, women can never turn into a scab because that is ugly…. and women are not meant to be ugly. Buuuut the scab that is a man is admired, because he is strong and has not broken down from all the hardships he has endured. Instantaneously, she responded. She told me that what she meant was that there is noting worse than a self righteous person. A woman who feels that because she: looks a certain way, she wears certain clothes or gets paid a certain amount of money , can treat anyone (especially other women) any which way, is disgusting; and that she simply is not as beautiful or as desirable as she believes. Anyway, more often than not, these actions are carried out by the most gorgeous women who seem to have it all together. You can be humble, kind and polite yet assertive, honest and not hurtful, beautiful and smart, ambitious and grounded and at the end of the day still leave people without the urge to self- harm after speaking to you, because you have completely obliterated any kind of self confidence they had strung together. So after the longest DMC, my cousin ended off by saying how she never wants her child to be discredited in any way because of how she treated someone else in this world. I had never thought of it that way…. Today’s post is just to remind us that all that make up can never hide all that ugliness inside. If you are the type of woman who cannot, for the life of you, pay someone else a compliment, greet someone before you are greeted, or even help someone else be great for a change, just know that you are ugly. Great woman are so beautiful inside… to the point where that beauty just boils over to the outside. That’s was most inspiring message. That you share it. Kind can relate to it. Sometimes men can put down women too not just women. Hope keep reading stuff like this. So thanks for posting it. I am new to word press as you can tell I have never posted anything just yet but I would like to begin this journey of writing and sharing my thoughts to others. Do you happen to know how I can add followers to my blog and it make it more out to the world. Thank you. Welcome! Well the only thing I can think of right now is that you need to put some sort of content out… people will start following your blog if they like what you write. You obviously cannot appeal to everyone, think of the people you would like to target and write for them. Try to stay consistent with the amount of times you post ( obviously the more you post, the faster you grow your following). Also, do not forget to tag and categorise your work(posts) so that it gets picked up easier by search engines. Wow thank you! I cant wait to start writing! One more question 😦 word press is free if not mistaken correct I know there it charges for other things that is if you choose them but for the basics its mostly free right?